At the turn of the century, bowling league membership was down, way down, and this, to Harvard professor Robert Putnam was quite a problem. See, with the loss of bowling leagues go the friendly conversations over beer, pizza, and pretzels and the weekly commitments that solo bowlers do without. Now, we bowl alone. Putnam provides this meme as an entry point into his body of research on social capital, a democratic concept tracing back to the 1800s, most simply defined as the social fabric that eases collective action; it’s what helps societies come together. 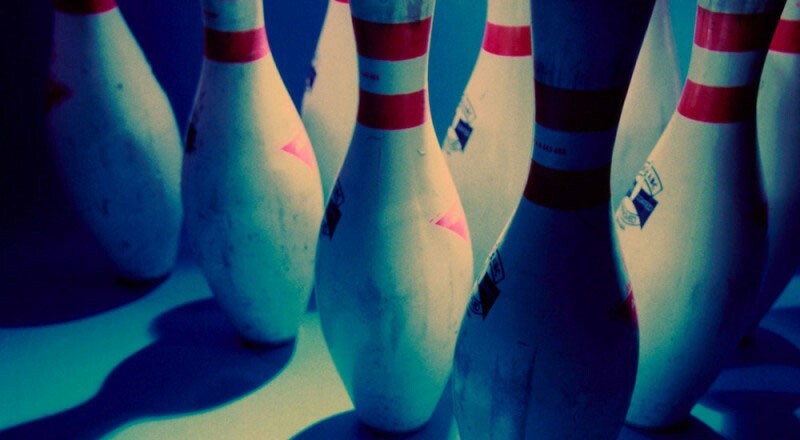 For Putnam, the decline of bowling leagues—along with a host of similar stories—tells of a waning of social capital and an atomization of American society. But following his research—and many unfriendly rejoinders to his conclusions—the literature has gone on to ask what makes up a group, not only what it does. How does diversity affect the formation of social capital? The bowling league case is one of Putnam’s more whimsical examples, an accessible illustration of the trend in his controversial essay and book, Bowling Alone. As political scientist focused on the background institutions that support and inform governance, he focused on the role of civil society in politics in this review of American society, because, as he writes, “The norms and networks of civic engagement also powerfully affect the performance of representative government. That, at least, was the central conclusion of my own 20-year, quasi-experimental study of subnational governments in different regions of Italy.” His conclusion from the Italian summary was that a vibrant civil society—“networks of organized reciprocity and civic solidarity”—were a precondition for successful modern nations. Focused more on the statistical analysis, Putnam loosely tells the story of this relationship, standing on the data as proof. For Putnam, networks of civic engagement house the memories of cooperative success, which serve as a kind of template for future action. You learn how to get things done—together. Plus, the networks of interaction “broaden the participants’ sense of self,” developing the “‘I’ into the ‘we’.” Civic life is in this way a factor of production for society, and social capital then its metric. Civic life is in this way a factor of production for society, and social capital then its metric. Putnam defines social capital as the “features of social organization such as networks, norms, and social trust that facilitate coordination and cooperation for mutual benefit.” Those features and their direct effects, though, are difficult to identify—let alone quantity—but with a wealth of information on public attitudes and activities, Putnam maps certain traits to trends in social capital in contemporary America. It is an input-output study—with many variables. The inputs are the causes of social capital—associational activity, familial ties, and the like; the outputs are its effects—civic participation and societal trust. In his analysis, social capital inputs have dropped. Since the 1960s, Churchgoing slipped from roughly 15 percent. Since the mid-1950s, when union membership peaked, the nonagricultural union rosters have cut by more than half. The Boy Scouts are off by 26 percent since 1970, and the Red Cross off by 61. In sum, after expanding steadily throughout most of this century, many major civic organizations have experienced a sudden, substantial, and nearly simultaneous decline in membership over the last decade or two. According to Putnam, we aren’t just bowling alone, we’re living alone. Putnam has contributed to this social capital research with the recent publication of an essay, “E Pluribus Unum: Diversity and Community in the Twenty-first Century.” In a way, this is a sequel to Bowling Alone. If Bowling Alone called our attention to a problem in society, this essay explores a possible solution. It asks essentially, can diversity develop social capital? His answer comes as a surprise not only to himself but also to those who assume that diversity strengthens communities. He took upon a similar statistical endeavor as before, controlling for socioeconomic factors—age, education, and poverty—across areas to find the relationship between diversity and social well being. And in the short run, that relationship was negative. As he explains, “The more ethnically diverse the people we live around the less we trust them.” In terms of real impact, he found greater the diversity in a community, the fewer people vote and the less they volunteer, the less they give to charity and work on community projects. In the most diverse communities, neighbors trust one another about half as much as they do in the most homogenous settings. Instead of action in either direction — positive or negative — individuals faced with diversity do less. As the community is rewoven, then, so is our identity. What was before foreign or the other becomes common and the same. As seen before, man gives “prominence to sympathy”—to use Dewey’s terms—and the fundamental commonalities overshadow the traditional differences over time. As Putnam describes, “…adapting over time, dynamically, to immigration and diversity requires the reconstruction of social identities, not merely of the immigrants themselves (though assimilation is important), but also of the newly more diverse society as a whole (including the native born).” Thus, the very mechanics of Dewey’s social capital rehabilitate Putnam’s diverse society—in a sense, eliminating “diversity” for the sake of social trust. Putnam, though, maintains that “diversity” should not be eliminated so much as reconstructed. With regards to ethnic identities, societies should reduce “their social salience without eliminating their personal importance,” and “encourage permeable, syncretic, ‘hyphenated’ identities; identities that enable previously separate ethnic groups to see themselves, in part, as members of a shared group with a shared identity.” Thus, ethnicity is not scrubbed away but contextualized within a broader framework of identity—presumably including religion, nationality, and even humanity. Thus, ethnicity is not scrubbed away but contextualized within a broader framework of identity — presumably including religion, nationality, and even humanity. To summarize his answer briefly, none. Wilson thus argues for societal bonds built upon superficial characteristics. Homogeneity, for him, seems to be defined by brut luck characteristics—race, ethnicity, position, and class. He vacillates between a simply physical lens and a socio-economic one, shifting from definitions of “like us” from same colors (with his citation of Thomas Schelling’s color-based self-segregation study) to same stories (“like-minded persons: first the family, then friends and colleagues…”). Yet he leaves no room for any discernible diversity to allow for the formation of social capital. The hunkering down impulse, for Wilson, does not pass until the visible lines of difference fade. Men who think they are different (let alone look different) cannot work together. But then what of E Pluribus Unum? How can many make one? The modern consensus suggests that the process at best, to use Max Weber’s phrase, “a slow boring of hard boards.” It just takes time.